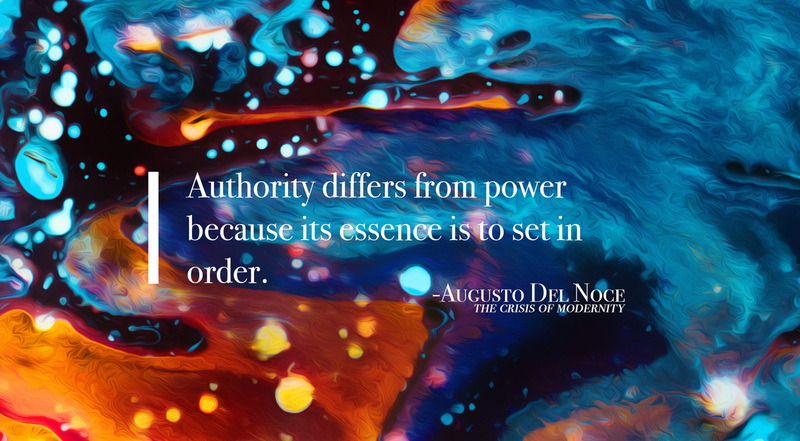 I have been reading a lot of Augusto Del Noce lately. He was an Italian, Catholic philosopher of the mid-twentieth century best known for his critique of modernity, secularization, and Marxism. He is a master of the history of philosophy, particularly in the revolutionary developments since the Enlightenment. His specialty seems to be in Marxism, and one of the dominant themes of the two books I have had the pleasure to read is the sublation of Marxism into the “affluent society” or the “technological civilization.” His writing is incisive and prescient of our own age, as he saw, with great clarity, the inevitable march of Western society toward material affluence and spiritual despair. In this post I’m going to quote a substantial passage from his profound essay, Technological Civilization and Christianity, found in his book The Age of Secularization. This essay attempts to answer the question of how the Church ought to approach the rapidly developing technological civilization of the mid to late twentieth century. Of course, in our own day, the growth of technology has only accelerated, so that now we have unthinkable computing power at our fingertips. Our civilization, therefore, is only become more technological, even as we are, as I argued anecdotally here, becoming less human. The essay’s argument begins with the section titled “The Primacy of Doing,” in which Del Noce states, “the technological civilization can only be defined in terms of the suppression of…the religious dimension.” By religious dimension he does not mean Christianity in particular, but rather “an eternal and unchangeable order of truths and values, which we can come in contact with through intellectual intuition.” Del Noce argues that there is a fundamental discord between the technological civilization and the religious civilization because the former denies (or suppresses) the foundation of the latter. There is no place for transcendent truth or supreme values in the technological civilization. Everything is plastic, subject to the will of mankind, bending the universe to fit his desires. Authority is a bad word. As a culture, we are decidedly against it. The word conjures images of severe-faced, white-haired autocrats sitting behind tall desks, passing out harsh and irrational judgments. The authority stands above the masses, oblivious to their plight, using the power of his position to achieve his own selfish ends. In the stories of our cultural imagination, the authority serves only his own interest. Think Cinderella’s wicked step-mother. Cruel and unjust, she used her authority to oppress innocent Cinderella while giving every benefit and blessing to her own spoiled daughters. Authority oppresses and enslaves, so what we really need is a revolution. But do we? It seems like we’ve had nothing but revolution for the past century or more, but we still can’t get rid of this idea of authority. The history of our world’s revolution teaches us that the revolutionaries weren’t opposed to authority as such, they just thought they should have it instead of the other guys. And yet the Lenins, the Pol Pots, and the Castros of the world are often far more cruel and unjust than the people they ousted from power. We don’t need new authorities; we need good authorities. In fact, what we need are people who understand that there is a subtle but significant difference between authority and power.